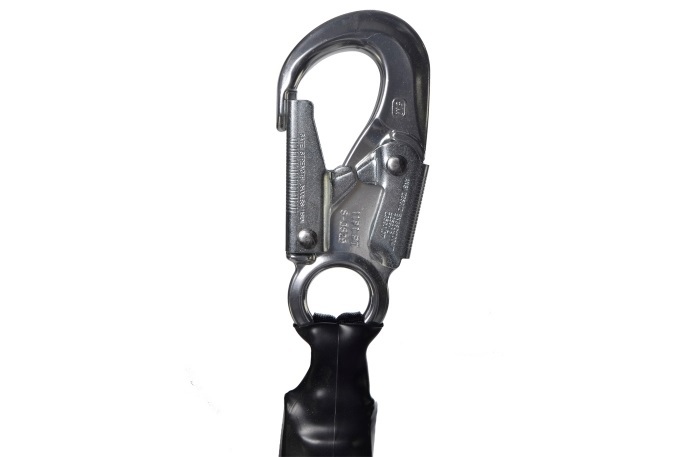 We are pleased to announce our new line of aluminum, ANSI and OSHA compliant snaphooks and rebar hooks. Aluminum is corrosion resistant and lighter than steel, and aluminum connectors are now available on all lanyards, SRLs, and vertical lifelines. They are created and tested to comply with the most current ANSI regulations. These light weight connectors have high-strength, double-locking gates certified for loads up to 3,600 pounds, as well as an ultimate load rating of 5,000 pounds. Each hook gate mechanism is rated at 3,600 lbs.